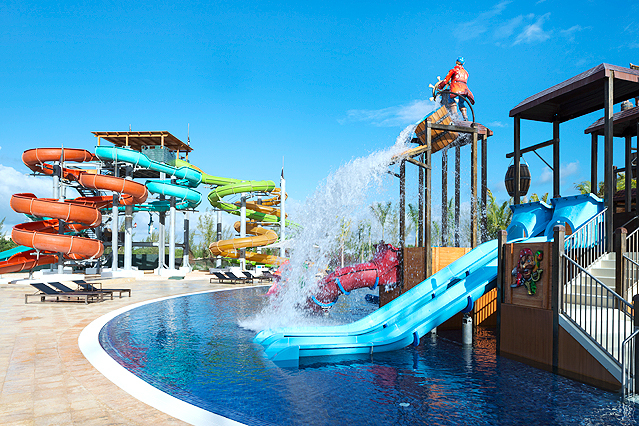 Today we have a luxurious resort for you if you have plans to visit Montego Bay in the following months. 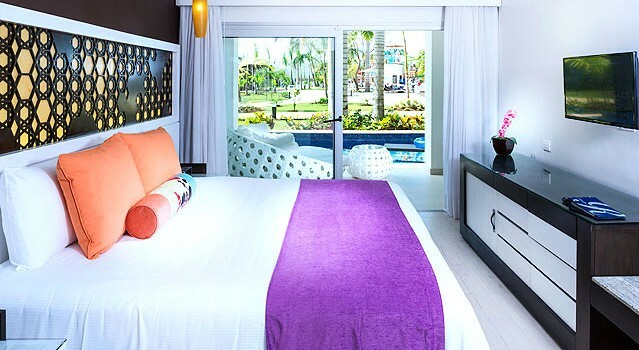 Book the Royalton White Sands Resort for $242 a night and save on your luxury hotel through this year. This 5 star Montego Bay hotel is right on the white beaches near the city and offers a unique all-in luxury experience to those who want to get all the pampering possible on a vacation. Royalton White Sands Resort is an all inclusive luxury located a 45 minute drive away from Sangster International Airport (MBJ), on the shores of the Caribbean Sea. 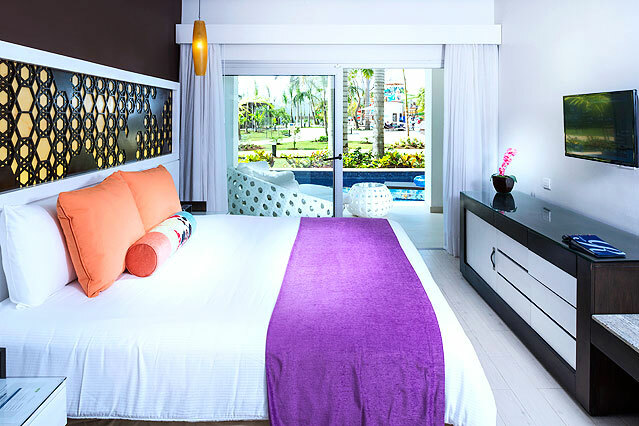 The different rooms and sites of Royalton White Sands Resort all have signature Dreambeds with pillow top mattress and 250 thread count sheets, free Wi-fi access, electronic safe, iron with ironing board, hair dryer, rain shower in the bathroom, mini bar, coffee maker and private balcony or patio. All-in luxury at the 5 star hotel includes unlimited reservation free dining at one of the 5 restaurant, drinks at one of the six bars, free Wireless Internet access throughout the resort, participation at a sports event, access to the two pools and one kiddie pool with waterpark, non stop concierge service and access to the on site fitness center of Royalton White Sands. The Diamond Club is a separate section of Royalton White Sands Resort that offers even more luxuries. Diamond guests have access to an exclusive beach area, exclusive lounge area with breakfast and afternoon snacks, personalized check in and check out, pillow menu and more. Among the five restaurant of the hotel you will find the Teppanyaki and Sushi Bar with Japanese specialties, a stylish steak house and the Trattoria with the best flavors of Italian cuisine. Royalton White Sands Resort might be great, but before you book it, you should see some other Montego Bay hotel rates the travel dates you had in mind. Compare these offers and choose the best one for you. 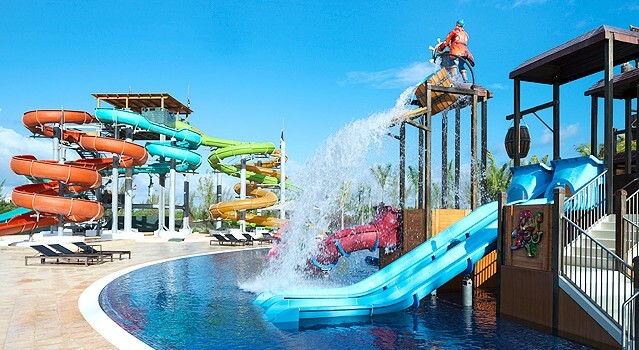 This entry was posted on Friday, November 13th, 2015 at 7:09 am and is filed under Hotel Deals. You can follow any responses to this entry through the RSS 2.0 feed. You can leave a response, or trackback from your own site.